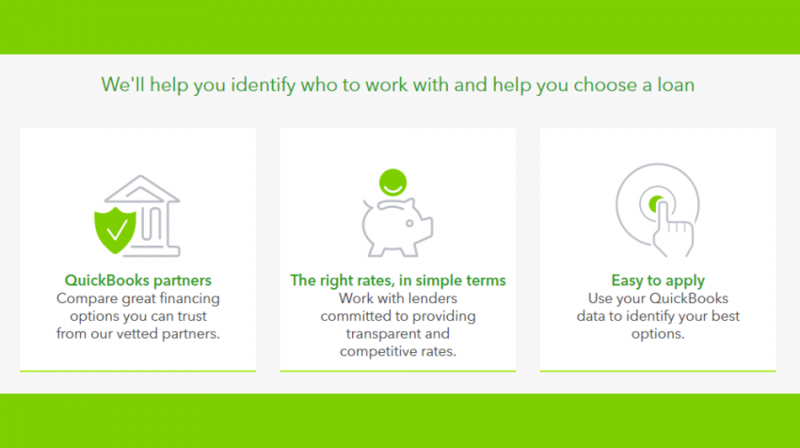 Never heard of QuickBooks Financing before? Well, this is a marketplace of small business finance products that cover the full spectrum of credit offerings including Small Business Administration loans, lines of credit, short and long term loans and peer-to-peer loans. To date, QuickBooks financing claims that it has helped more than 628 million QuickBooks customers to access financing. Once you create your QuickBooks Financing account, QuickBooks will pre-populate your application with information you have already entered into Quickbooks’ bookkeeping software. This just takes a few minutes, the company says. You will then be able to see your offers instantly. Use your QuickBooks data to see multiple customized offers for your business. Choose the offer that best suits your business and complete the process. In most cases, many lenders will deposit money into your account on the same day. How Can You Tell If You Qualify for Financing? First of all, QuickBooks makes the lending process a breeze by pre-populating your credit application form with your QuickBooks information. The service then forwards that information to lending partners who in turn decide on whether you qualify for credit by checking the number of years you have been in business (most require at least two years), revenue (most lenders look for at least $75,000 in gross revenue), personal credit history and business credit history. Major negative information (such as liens or late payments) could also determine your business’ eligibility for a loan. These are just the bare minimums for pre-approval. Overall, QuickBooks financing is a user-friendly business financing option. The platform works with a limited number of hand-selected partners that are interested in financing businesses. And the beauty of it all is that QuickBooks Financing helps you to see all the credit offers that your business qualifies for, so you do not have to apply multiple times.